Ronnie came to Moss Lane after a career in the lower reaches of the Football League which included nearly 300 senior games and the reputation of having the beating of any full-back in the lower divisions. Predominantly left sided, he had pace and ball skills second to none. He spent 3 seasons at Moss Lane as Altrincham made the transition from the Cheshire County League, to the Northern Premier League. On leaving school Ron worked on the railways and played for the railways in Garston in the Liverpool Shipping League. He had trials with the Stoke City ‘A’ side before performing his National Service with the King’s Regiment. On discharge he was signed initially as an amateur by Liverpool, by Don Walsh, who was later to take him to Third Division Bournemouth, where he made his Football League debut against Reading in October 1959. He played 9 league games and one FA Cup in his first season and scored 3 goals, two of which were penalties. His second season saw him play a further 27 League games, two in the FA Cup and one in the League Cup, with 3 league goals and one in the FA Cup against Yeovil. Ronnie was then transferred to Fourth Division Crewe Alexandra in July 1961, where he immediately claimed the left-wing slot as his own, winning the Cheshire Bowl and playing (and scoring) in Accrington Stanley’s last League game in his first season. Ronnie then spent the next two and a bit seasons at Crewe and was a part of the side that won Crewe’s first ever promotion (from the Fourth to the Third Division). He moved on to Port Vale in October 1963 where he was a playing colleague of Billy Bingham who, on appointment as Southport’s manager, went back and signed Smith. Ronnie soon became a firm favourite with the crowd with his ball skills and pace on the left wing, and was an ever present in 66/67. He remained a regular until the following season when Stuart Law arrived and Bingham adopted a system that employed only one winger, leaving Ronnie to warm the bench more often than not. In the summer Ronnie moved to Altrincham for the 1967/68 season, a side in need of freshening up after back-to back title wins. Although not retaining the title in their final season in the Cheshire League they did gain second place and Ronnie proved to be an integral part of the side that moved the following season into the Northern Premier League. In his time at Moss Lane Ronnie won a Cheshire County League, Runner’s up medal, a Northern Premier League cup winner’s medal, a Cheshire Senior Cup finalist's medal and North West Floodlit League winners and runners-up medals. On leaving Moss Lane, Ronnie moved first to Netherfield (Kendal) and then on to Formby, for the first of which would be three stints there, the last as manager. He continued playing well into his forties for Fleetwood Hesketh, followed by assisting with the management at Hesketh Bank. Height & weight: 5'11”, 12st 2lbs. Stewart Littlewood had a varied and interesting career and came to Altrincham towards the end of it as a proven goal scorer but one who was hampered by injury. It was he who provided the goals that led to the second successful period in Altrincham’s history. Stewart’s place in Altrincham pantheon of legends is guaranteed due to his being one of a handful of players to score 100 goals for the club but even more so by the fact that he was the player who reached that target the quickest, a record unlikely to be broken. Blessed with pace, two good feet and deadly finishing he started his senior playing career with Holmfield Mission in his local Rotherham area before moving on to play with Hardwick Colliery. From here in made his first steps into the realms of the professional game by signing for Chesterfield as an amateur in January 1924 but he was unable to break into the first team. So, he returned to the non-league scene with Matlock Town. The chance to ply his trade in the professional game came again the following year, in January 1925, when he joined Sheffield Wednesday but once again he was unable to make an impact and left at the end of the season. Moving south he joined Luton Town in July 1925 and finally managed to play 6 league games for Luton during the 25/26 season, scoring twice but this proved to be yet another false start to his senior career as he was released by Luton at end of season and next surfaced in October 1926 having trials for Alfreton! But Littlewood’s chance came the following month, in November 1926, when Port Vale took a chance by signing him, after trials. The chance taken proved justified as, in just over a season, Stewart scored 70 goals for the reserves (55 goals in 33 matches during season 27/28 alone). This scoring rate earned him a first-team call up towards the end of the season and he scored 7 goals in 7 first-team games. The following season he scored a hat trick in a 5-2 win at Millwall and was then controversially 'rested' after scoring 9 goals in 10 first team games. This was followed by his then being surprisingly transferred to Oldham Athletic during January 1929 in exchange for Albert Pynegar and £1,300, following a 3-0 defeat in the FA Cup. This move was naturally very unpopular amongst Vale supporters for whom Littlewood had, naturally, become quite a favourite. Littlewood wasted little time settling in at Oldham, scoring twice on debut (and 12 in the remaining 18 games of the season and going some way to saving Oldham from relegation to Division 3 North). Over the next 2 and a bit season, he scored 46 goals in 78 league games for Oldham, in addition to 2 goals in 3 FA cup appearances. In March 1931 he was again surprisingly transferred, this time back to Port Vale for a then record club fee of £1,550 pounds and he continued to score goals, even in a struggling side. Most famously he scored 6 goals in 57 minutes in Port Vale's record 9-1 win against Chesterfield. Unfortunately, in October 1932, he damaged a cartilage, which required surgery - an operation that was only partially successful. This resulted in his only occasional appearances till the end of the 1932/33 season when he was given a free transfer. He signed for Bournemouth and Boscombe in July 1933 but, continually dogged by recurring injury, he played only a further 18 league games (still managing to score 11 League goals though) and was again released at the end of the 33/34 season. Littlewood’s Football League career was over, having scored a very impressive 85 league goals in just 153 league games. Returning north, he joined an ambitious Altrincham side in July 1934 and for the next three seasons (34/35-36/37), even though constantly dogged by injury, he led the Altrincham front line with some panache, ending his spell at Altrincham with an average of nearly a goal a game in just over a hundred games for the club. Despite playing at times in pain and with restricted mobility, in his first season he scored on his debut and went on to score seven goals in the 9-0 FA Cup win over Moulton Verdon and four goals against Buxton, Tranmere Rovers Reserves and Nantwich Town, in addition to hat tricks against Ashton National and Prescot Cables. The following season he scored all four goals in the 4-0 FA Cup win over Hyde United and again helped Altrincham to second place in the Cheshire County League. Even in his final season, dogged with recurring injuries, he still managed hat-tricks against Willaston in the FA Cup and Winsford in the league and a further four goals against Hyde United. Released at end of 1936/37 season he tried a final season with Northwich Victoria, where his injuries meant his appearances were increasingly intermittent and this subsequently led to his retirement at the end of the season. Stewart is a true Altrincham legend, as his career figures below clearly show. For appearance and scoring statistics, click here. Albert was one of only two players who played for Altrincham both pre-War and post-War and is a classic example of what could have been. He originally made his Altrincham debut as a green, quick nineteen year old and was played initially as a winger at both outside left or outside right. He made a sufficient enough impression to suggest to all who watched him that he had a future in professional soccer. Unfortunately, like so many young players the war intervened and robbed Albert of potentially his best playing years, despite which he still went on to have a reasonable League career with four different Football League sides, scoring 35 goals in 130 senior appearances. After the War, with Altrincham he was played primarily as an inside right but on his move to Chester he was played in a number of positions including, inside left, centre forward or occasionally at inside right and throughout the rest of his career was played right across the forward line. On Altrincham’s return to competitive football in 1946/47, Albert scored on his second Altrincham debut in a 5-0 home win over Witton Albion. His performances the following season, scoring 28 goals meant, inevitably, that he would be signed by a Football League side and that side was Chester. Again for an inside forward his goal return was good 14 goals in 31 league games, so it was something of a surprise when he was released at the end of the season and moved south to join Yeovil Town. At Yeovil his two goals beat Romford (1948 FA Amateur Cup finalists), 4-1 in the first round of the FA Cup and again in the second round another goal by Foulds helped Yeovil reach the 3rd Round of the FA Cup for the second time in successive seasons by beating Gillingham 3-1 in front of 13,034 spectators. In the third round they lost to Chesterfield, 3-1 in front of 24,288 spectators. These high profile performances for Yeovil encouraged Rochdale to bring him back to the North West but surprisingly he was left in the reserves for most of the season, though he did win a Lancashire Junior Cup medal, playing in the final against Morecambe for whom future Altrincham left winger, Konrad Kapler also played. Foulds scored the only goal in a 1-0 win. He was again released at the end of the 50/51 season, after to failing to establish a permanent place in the first team but was hastily re-signed when he was seen to be scoring so freely for Scarborough for whom Bert had signed on his release. 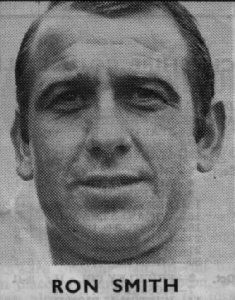 On re-signing, Bert played out the rest of the season with Rochdale, scored only one senior goal but the following season he rediscovered his scoring boots when he scored 13 goals in 32 league games, including a hat trick away against Bradford City in a 3-0 win in September 1952, which led, in June 1953, to Crystal Palace, exchanging forward, Fred Evans for Bert’s services. Unable to settle in the south, Bert only stayed 6 months at Selhurst Park, scoring four goals in 18 games before moving back north to join Crewe Alexandra in January 1954. With age now catching up with him, he wound down his Football League career by playing a further 14 games and scoring 2 goals before moving on to Congleton at the end of the season and playing one final, relatively successful season of senior non league football before retiring. 1938/39 9 appearances, 1 goal in league games. 1946/47 13 appearances, 4 goals in league games. 1947/48, 35 appearances, 22 goals in league games; 4 FA Cup appearances, 4 goals, 6 appearances in CLC, 2 goals, 1 appearance in CSC, 0 goals. 1948/49 31 appearances, 14 goals in league games; 2 FA Cup appearances, 0 goals. 1951/52 23 appearances, 1 goal in league games, 3 FA Cup appearances, 0 goals. 1952/53 32 appearances, 13 goals in league games; 1 FA Cup appearances, 0 goals. 1953/54, 17 appearances, 4 goals in league games; 1 FA Cup appearance, 0 goals. 1953/54, 14 appearances, 2 goals in league games. 1954/55, 25 appearances, 13 goals in league games, 2 FA Cup appearances, 0 goals.